Grease and line a 20cm square cake pan with baking paper, leaving some overhanging. Place chocolate in a bowl set over a pan of simmering water (don’t let the bowl touch the water) and stir until melted. Cool slightly, then fold in remaining ingredients. Spread into pan and chill for 2 hours or until set. 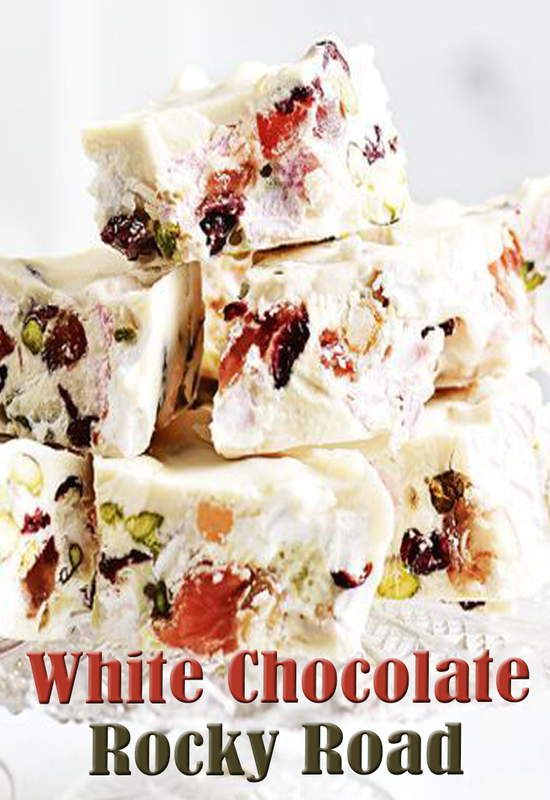 Use the baking paper to lift the rocky road out of the pan, then slice into squares to serve.